Let’s face it, it is hard to eat clean, especially if you are a foodie like me. Temptation is everywhere! Literally on every corner, especially in New York. But, we must think about our health first and foremost. I am not saying that we have to give up all of the delicacies and yummies that life has to offer – it is only right to indulge – just not every day. I try and go by the 80/20 rule – 80% of my meals are healthy, and the other 20% are left for life’s little indiscretions. If you need inspiration, you need not look far. Just as with exercising, Instagram and Pinterest are my trusty sources of all things nutrition and health. There are numerous pages that will provide you with healthy recipes, nutritional tips, inspiration and above all – motivation that comes with trying to stay on the wagon. Just check out or follow @beahealthyfab, @gethealthywithheather or @green_blender to name a few for a daily dose of health inspiration. Give my Pinterest page a look to get connected to other health mindful pinners. So let me tell you how I keep myself from getting pizza for lunch, eating five cookies in one sitting, and getting my pumpkin spice latte every day in five easy steps. Whether you realize or not, there are healthy foods that you do like! 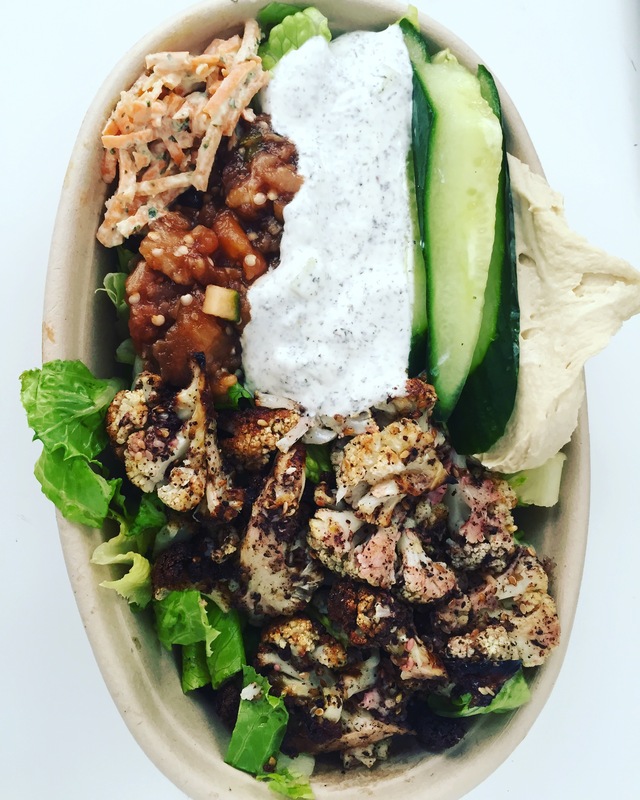 Be it a fruit, a vegetable, grilled chicken, trail mix, maybe quinoa salads? 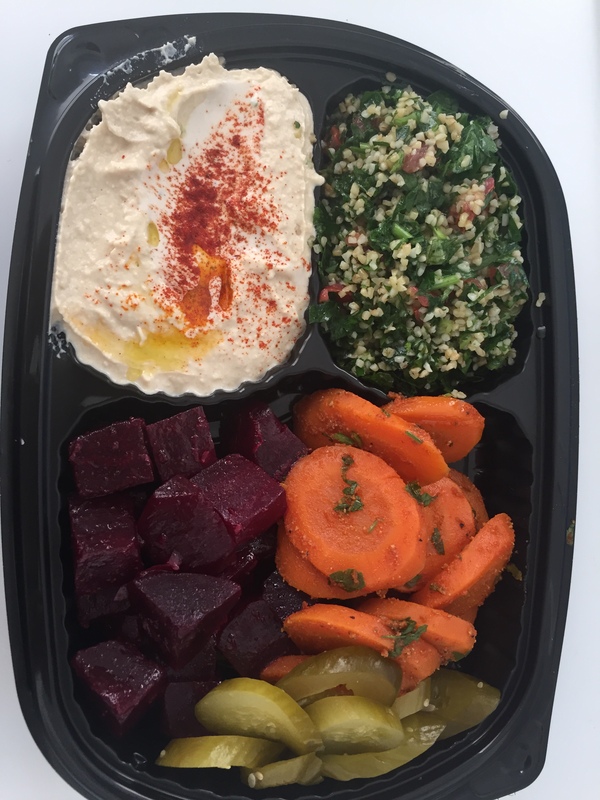 Maybe you enjoy a particular dish that is healthy – hummus dip, salmon steaks, butternut squash soup anyone? You have to recognize what it is that you enjoy eating that is healthy and incorporate it more into your every day plan. My healthy foods of choice are sauteed broccoli, roasted beets, salmon (I can never say “No” to a salmon steak), quinoa, grilled chicken, hummus and arugula just to name a few. Because I enjoy them, it is never a chore to choose them for lunch or dinner. Put a salmon steak and some roasted beets on my plate and I will forget about pizza! On the contrary – coconut water – yuck!!! 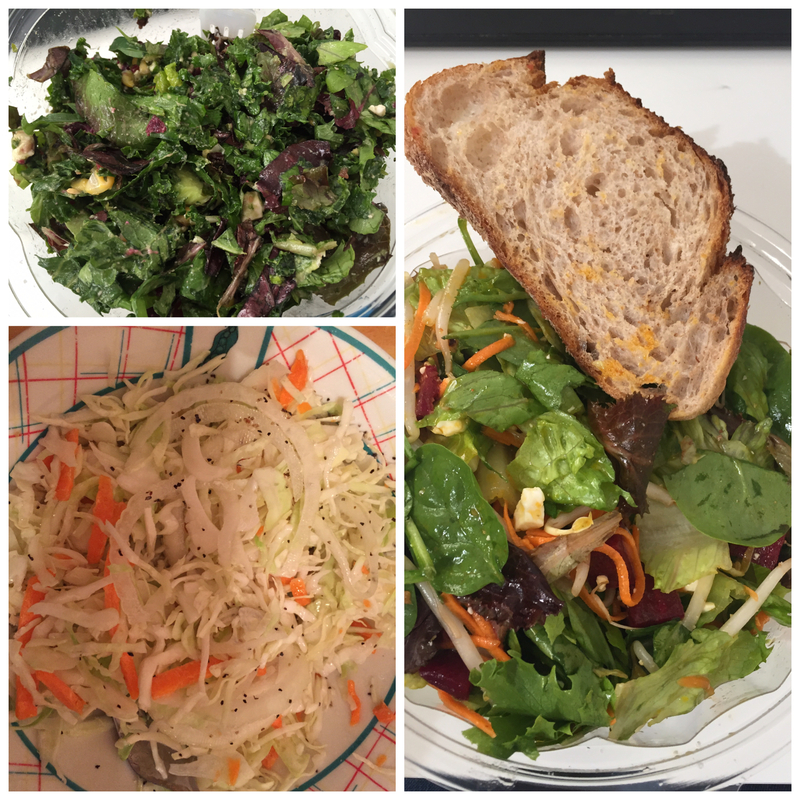 Here are some of my favorite healthy foods that I can pretty much eat on a daily basis. There is nothing better than a nicely grilled steak with some mash! But as we all know, carbs and red meat are not necessarily great for our bodies. We live in a carnivorous world, without realizing now much meat we consume. Same goes for carbs, it is so much easier to have a meal with carbs than without. Just have a bagel for breakfast, pizza for lunch and pasta for dinner – and there you have it, carb overload. If you can cut both or one of these out without looking back, I envy you! If you are like me, then the minute you decide to cut out carbs or meat, that will be the minute when you start craving both, you will dream about them, think about them and eventually you will give in and pig out. So, to prevent this from happening, I have came up with a strategy that has done wonders for me and I hope it will help you as well. Lately, I have been having meatless days or carbless days. Sometimes both, but those are hard! Have you heard of the latest craze called – Meatless Mondays! Join the hype and give your body a break from meat once a week. Perhaps, after a while you will be able to have more meatless days than just a Monday. Try to eat red meat once a week only! Stick to chicken and fish for most of the week. As far as carbs go, I try to have two carbless days a week. It is hard, because seems like most of the foods are based primarily around carbohydrates. I also try very hard to have carbs once a day only, and concentrate my other two meals on fruits, vegetables and lean protein. It is not easy, but I find this approach more manageable for me, as I get to cut down on my carb and meat intake, without feeling as if I am depriving myself. This one is pretty self explanatory. It is a fact that Americans are guilty of over eating. Supersize anyone? Our dinner plates are bigger, our servings are larger and our drinks are taller! You do not have to supersize because its only $1 a more, nor do you have to finish your entire meal because there are starving children in other parts of the world. Start small – if you always get seconds then this is the time to stop, if you like a venti latte – perhaps this is your chance to downgrade to a tall. Do you always get an appetizer and an entre for yourself? Start sharing and splitting with your friends! One of the changes that I made, was to start using salad plates in lieu of dinner plates. Since it is a smaller plate, there is only so much food that you can put on it. You do not have to start eating like a mouse, and believe me these small changes make a big difference – I promise! Another small change that will make a world of a difference is when you make subtle changes to your diet. Turn your chipsand dip into a veggies and dip, peanut butter and jelly – apple and peanut butter, regular pasta becomes a whole wheat pasta, and do not be afraid to give up your steak for a chicken steak. Recent changes that I have made to my diet was to substitute regular milk for rice milk. Before you get all bent out of shape – yes I agree – it is not the same thing, but I got used to it. Another small change that I have been successful in implementing, is changing my plate ratio in regards to carbs. Bottom line, whatever it is that you feel you can change without having a strong reaction, go ahead and do it! Your body will thank you for it later. I have implemented this rule after I got terribly sick two winters in a row with the most horrible cold. My immediate connection was – I do not eat enough fruits and vegetables, thus my body does not get the needed vitamins to have a strong immune system. 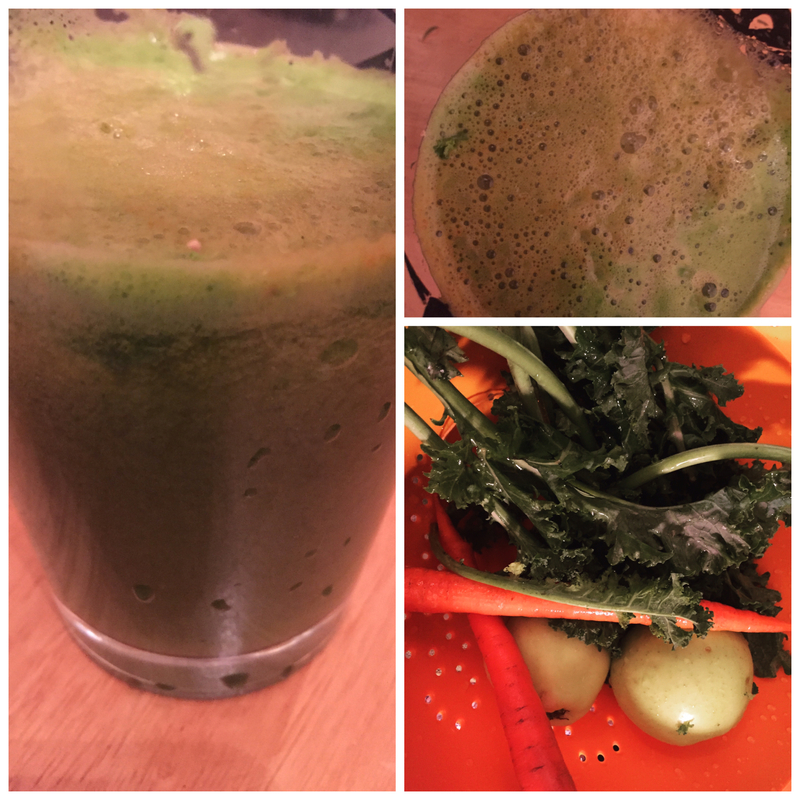 To me the easiest way to fix this was to start juicing! Sometimes it is very hard to make sure that we eat all of the needed servings of fruits and vegetables every day, however that is no reason to just accept this fact and not do anything about it. So do try to squeeze in that one juice a day, whether you make it yourself or have one at one of those fancy shmancy juice bars. 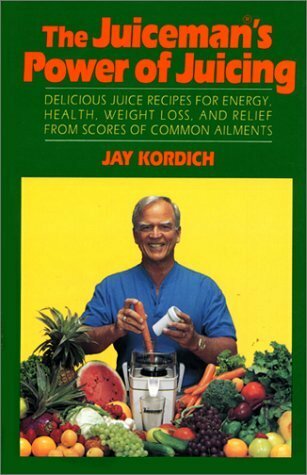 To help you understand how good it is for you, here is a book by Jay Kordich that my husband introduced to me when we first met, and he still uses it as a reference when making juices. I hope these tips will help you on your path to becoming healthier and eventually they will become habits that will be second nature to you. Do you have your own tips to share? Please do post them in the comments section! Looking forward to reading them.